The Scottish Website The National recently published a report about the MEK’s cyber-warriors working inside Ashraf 3 in Tirana, Albania. The report explains the role of the MEK research team in spreading information about the people’s uprising currently taking place in Iran. Ashraf 3 is a compound in Tirana for MEK members who were relocated from their previous camp in Iraq. 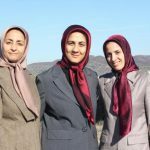 According to The National, Ashraf 3 had only a few hundred residents when it was founded in 2013, but it now houses over 2,500 MEK members. The uprising in Iran has been taking place in cities and towns across Iran for over a year, but the protests and strikes are largely unreported inside Iran by state media. According to The National, the MEK’s cyber warriors use encrypted social media channels to broadcast video clips of the protests recorded on mobile devices to their supporters in Iran. 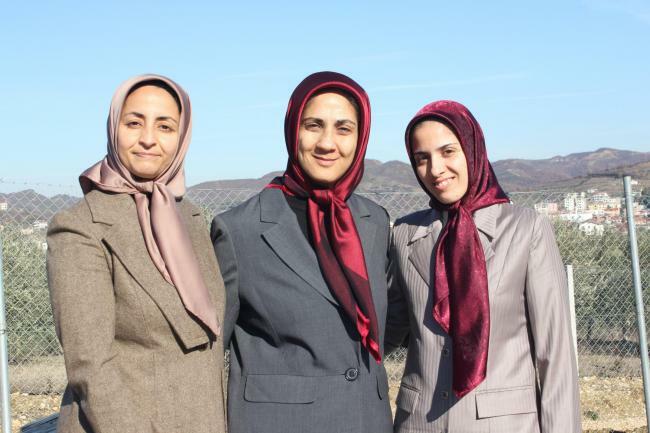 Parvin Poureghbalie is another MEK member who is committed to helping Iranians still inside the country. Poureghbalie studied in Iran in 1980, a year after the 1979 Revolution, and said that violence against dissenters started around that time. She said: “I was in one of the smaller cities in Iran – Kerman – we were about 180 young girls and we were arrested. From that 180 the majority were either killed or disappeared, some went to other countries and only a small number are still in Iran. “I feel I have a heavy responsibility for them. The people are starving and searching the garbage for food in a very rich country. “Workers have been asking why they haven’t had their salaries for months. Just to get their salaries they have to demonstrate. Mohammad Shafaei was orphaned at the age of eight when the regime killed most of his family. His father, a physician, was shot for treating wounded resistance members, and his brother was tortured to death in Evin Prison, according to The National. Now Shafaei works on the MEK’s research team, which helps Iranian citizens circumvent regime censorship in order to access the Internet and messaging apps. Shafaei also works to curb “malign Iranian activity” by identifying fake apps and spyware. The research team has a television channel that is broadcast on Telegram, a messaging app that is used by almost half of the Iranian population. “Our focus is on Telegram and Instagram because other social media like Facebook and Twitter are banned,” says Shafaei. “What we do is provide proxies to let the people circumvent internet censorship so they can see the demonstrations and unrest in their own country. Iran uses fake applications or spyware, spreads them among users in the country to trace their connections – so we try to disclose all these activities in cyberspace.